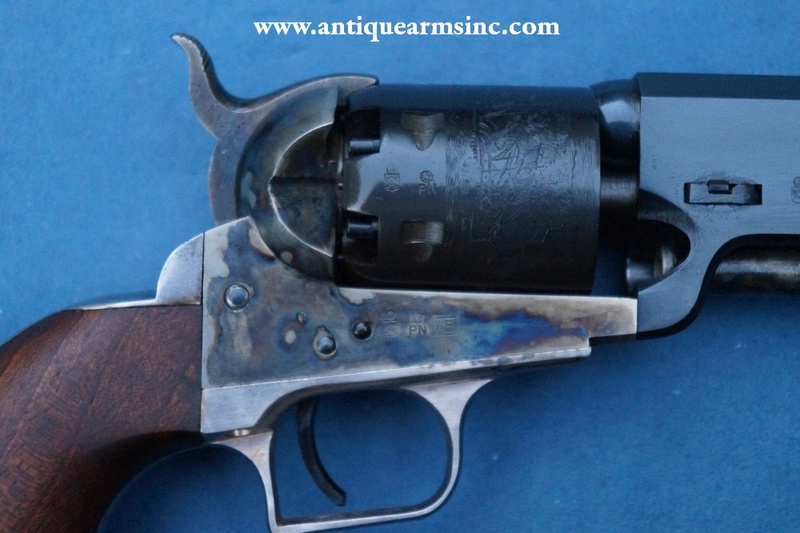 This is a very high quality replica of the Colt 1851 Navy Squareback Percussion Revolver in .36 caliber. 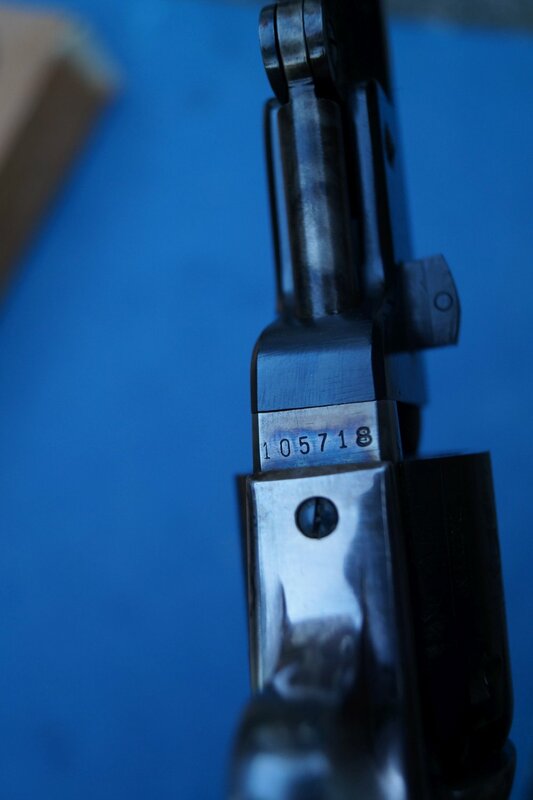 Built by Aldo Uberti in 1979, it was imported by Western Arms Corporation of Santa Fe, New Mexico. 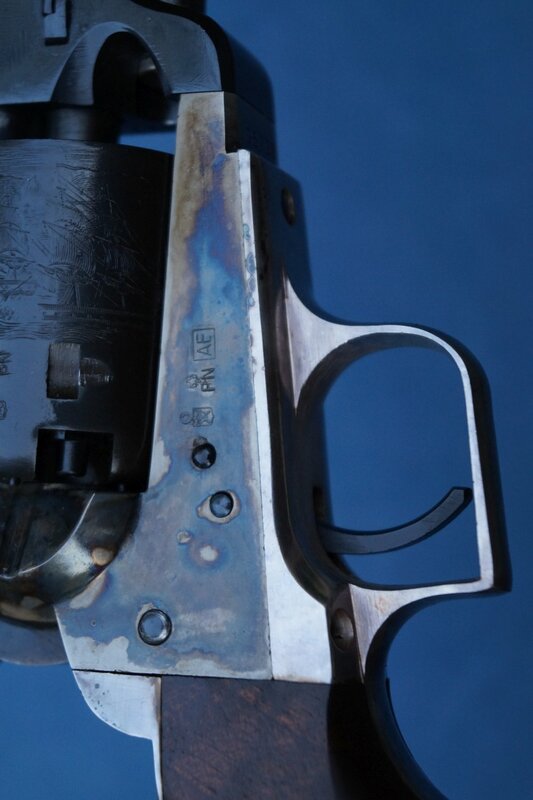 This revolver came from an estate and up until now, has had one owner. 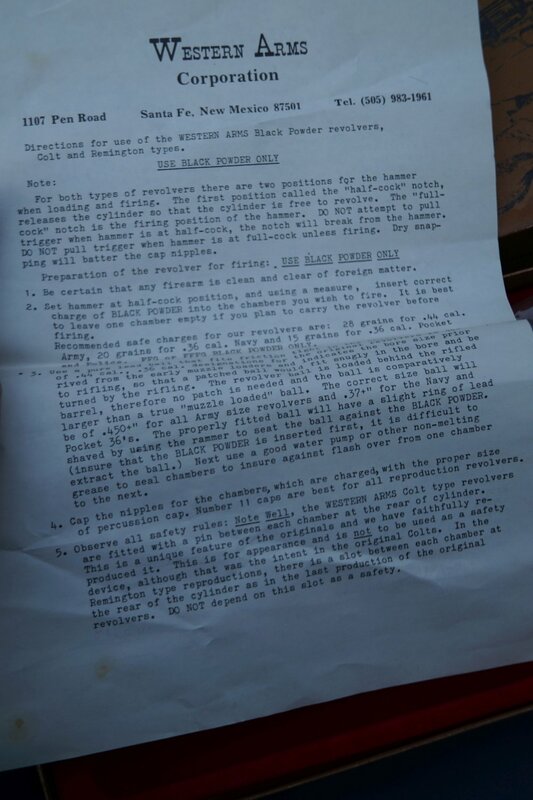 It is unfired, cylinder has never been turned, in its original box with the Western Arms paperwork. 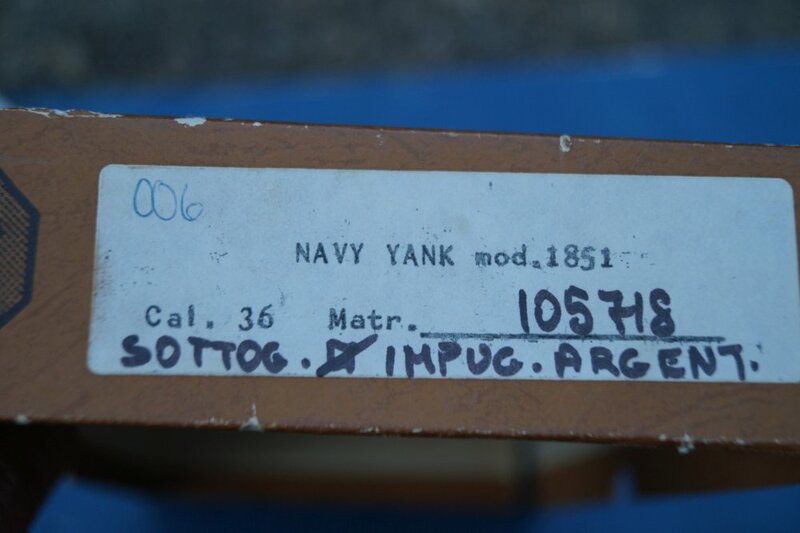 Box shows some fraying on the corners but it's all there and intact. 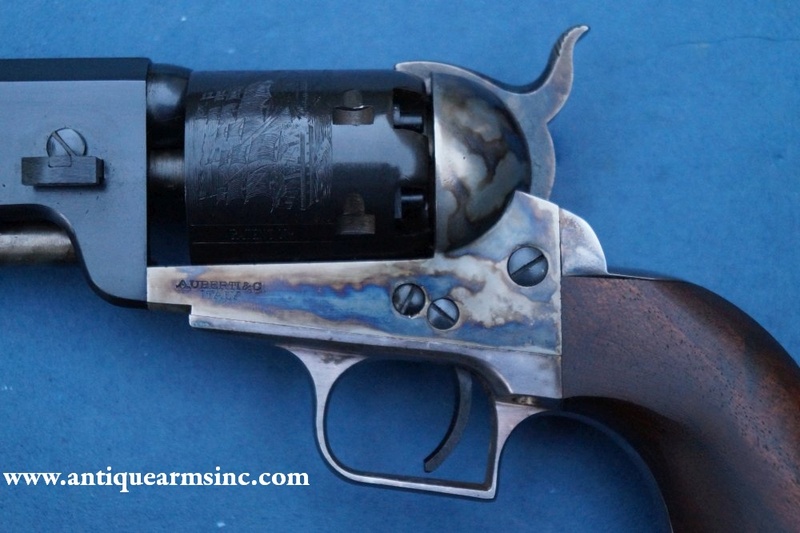 These Western Arms revolvers built to higher standards than all other Italian repros. 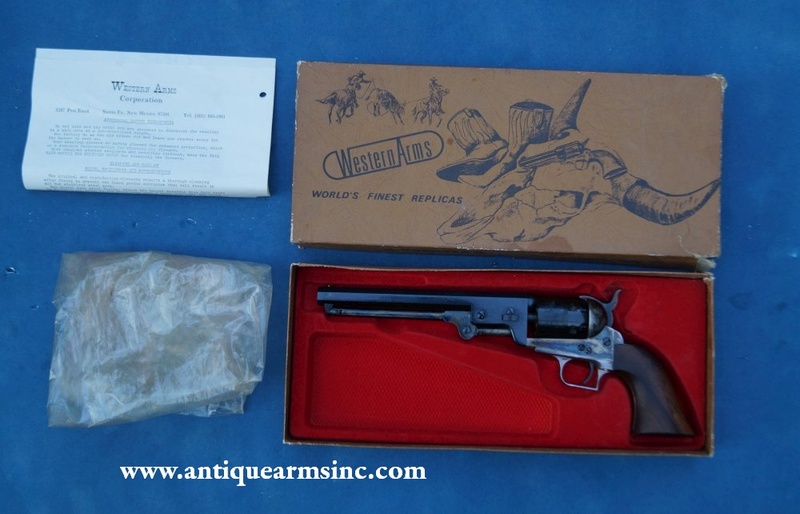 Western imported these to go head to head with the Colt 2nd Generation Revolvers in the late 1970's. 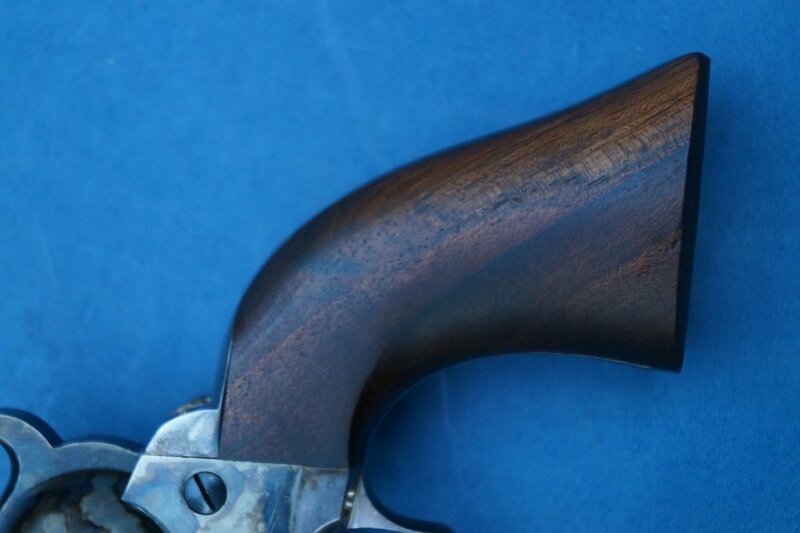 Unfortunately for Western, the company was successfully sued by Winchester due to a conflict with its Western Ammunition brand and forced to change its name. 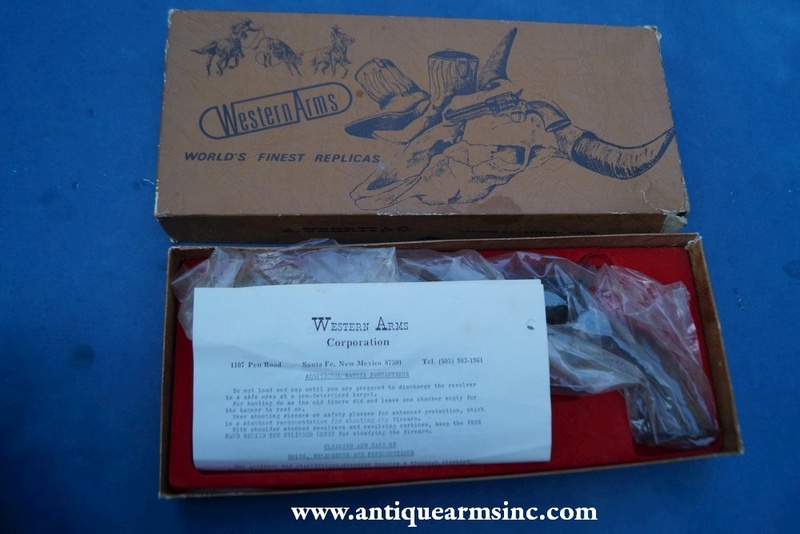 Western Arms Corp only lasted a few years...the last several under the name Allen Firearms. 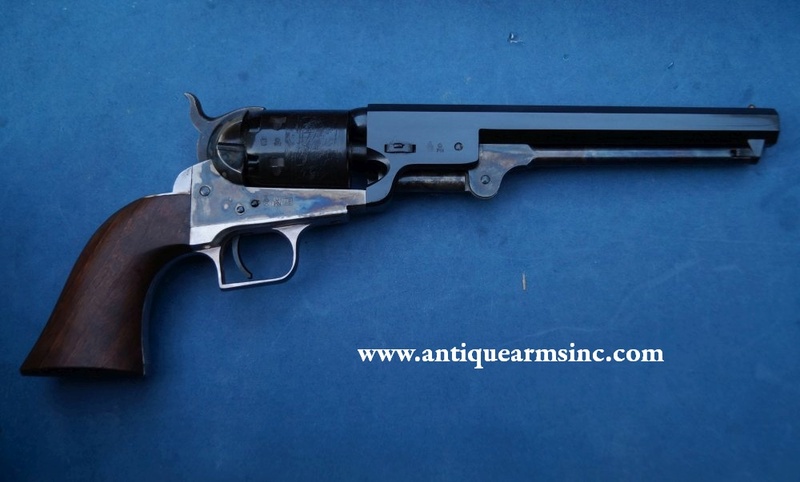 In 1987, they merged with another company to become Cimarron Arms which like its predecessor, Western, is a well respected importer. 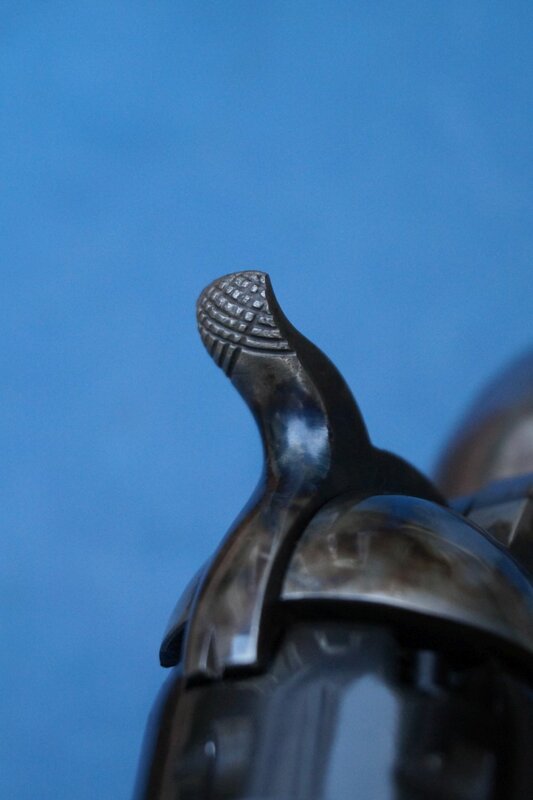 There aren't many Western Arms Ubertis out there but when you find them, the fit and finish is usually superb and this one is no exception. 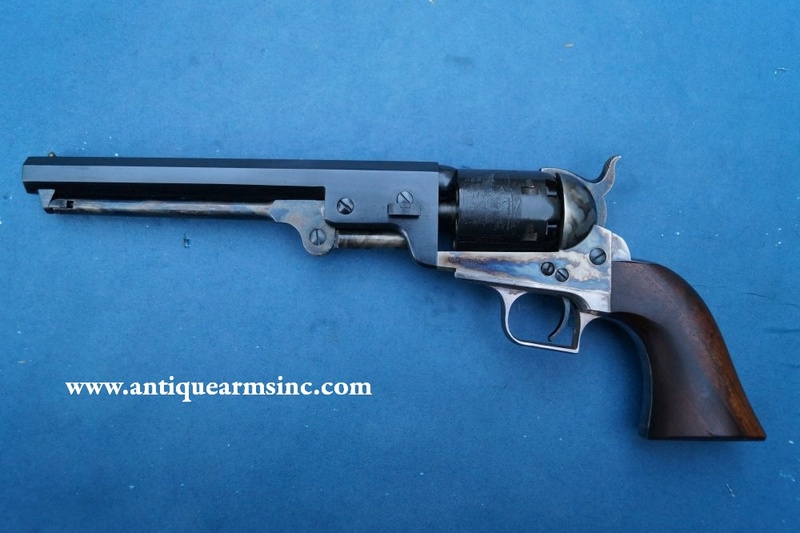 It even has special order silver plating on the trigger guard and backstrap...just like the original Colts from the 1850's. 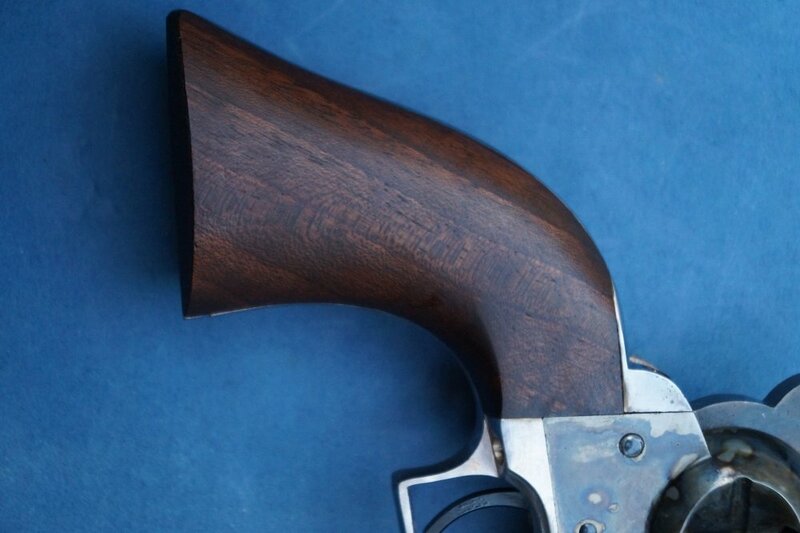 The walnut grips are hand fit to the gun with the grain lines running parallel to the contour of the gripstraps...just like the originals. 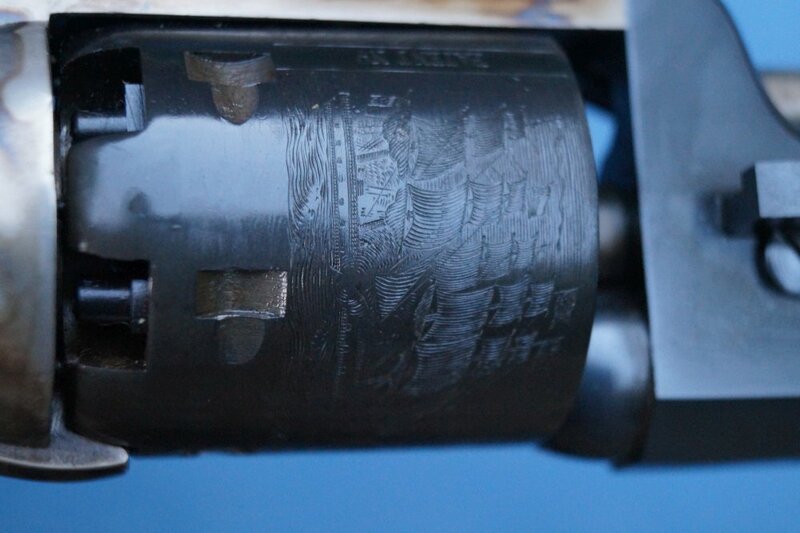 Roll engraved cylinder scene is quite accurate to the original as well. 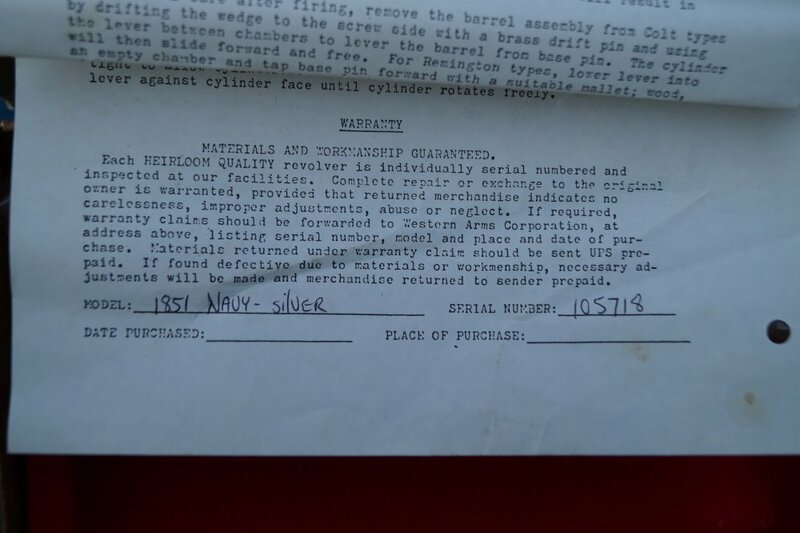 The metal polish is excellent with no left over machine marks...but not over-buffed either leaving the markings and edges crisp. Case colors are genuine bone/charcoal like the original and are noticeably better than what you will find on any current replica. 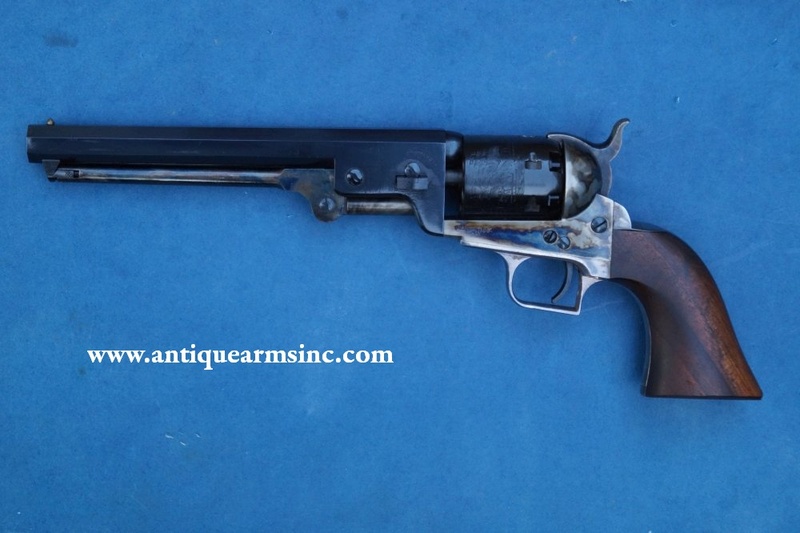 Great example of one of the best Uberti Reproductions ever brought into the United States.